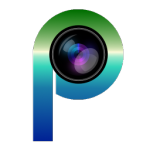 After a hiatus of almost 14 months I have been able to release a new update for Photonic. While this version comes after a long time, I have been extremely active on the support forum, often responding to issues in minutes. It is just that this release featured one big ticket item, which took me time to develop and test. Incidentally the day I released the last version was when I got on a different project on my day job, and that effectively killed all my free time. I introduced back-end authentication with Instagram, then extended it to Google back in 2016. But these were necessitated by the API changes breaking Photonic. This time I have gone ahead and completed the journey for Flickr, SmugMug and 500px. 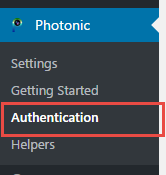 This addresses one of the most requested features on the support forum: an ability to display private photos without site visitors requiring to log in. As a side-effect of this I had to split out the former Helpers page into two: a new Authentication page that handles authentication, and a Helpers page that provides tools to determine user ids, album ids etc. The most frequently raised issue since February last year has been a conflict between themes / plugins using Bootstrap and Photonic. Incidentally the culprits here are the Bootstrap users, who include a tooltip script with their themes / plugins that conflicts with the JQuery Tooltip script bundled with native WP. Photonic uses JQuery Tooltip, so it ran into issues with Bootstrap users. I have coded a workaround that lets people use both now. Keeping with the trend of adding lightbox scripts, this release adds support for Featherlight. I have improved the error message reporting and made it hopefully more user-friendly. I have added support for Pinterest sharing of photos via the lightboxes. So far users were able to pass a filter attribute to the shortcode, which would fetch a named list of albums / galleries / photosets. In this release I have added an additional attribute filter_type that takes the values exclude and include to indicate if a list of albums in the filter parameter should be excluded or included. Flickr has an oddity – in some cases the URL structure of its photos doesn’t match documentation. I have added a workaround so that now such images from Flickr too will be displayed. I have added a new title style that is similar to the “Slide up on hover”, except that this title doesn’t disappear and stays covering the lower portion of photos. In the previous release I had accidentally left in some code that gave you the option to show a “Buy” link for SmugMug photos, but did nothing upon selection. That should be fixed now. The SmugMug folder view was dropping albums that didn’t have a “Highlight Image”. This has been corrected, and such albums will now show a placeholder image. SmugMug folders were unable to show more than 10 albums under them. This has been addressed to display up to 200 albums. While displaying 500px.com photos, if a user name started with a number that was breaking the code. This should be working fine now. While displaying photos from a 500px.com category, if the category name had spaces the plugin was not pulling the photos correctly. This has been fixed. The “Getting Started” and “Helpers” pages will now be visible to any user who can edit posts. Previously this was only visible to admins. I have improved compatibility with PHP 7. Hope you enjoy this release!